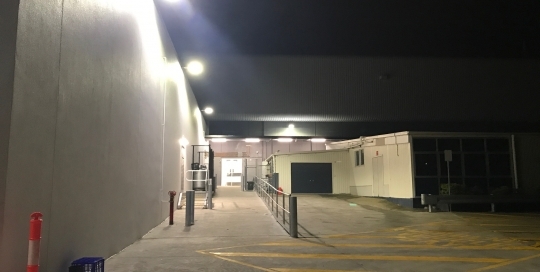 16 of our external Linear lights have been deployed across the facade of the NLT warehouse in Caboolture, providing the perfect lighting for safe patron usage within the carpark and showing of the exterior of the building. 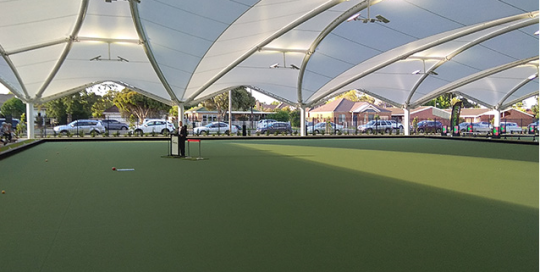 Our Andromeda Park luminaires have been fitted to triple dropper poles throughout the custom made fabric structure designed and installed by MakMax, dispersing consistent uplighting across the green. 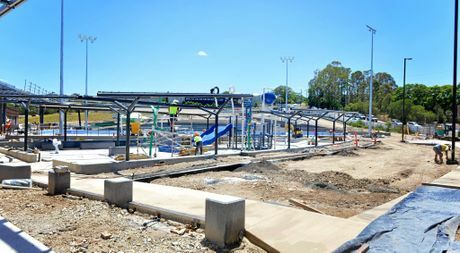 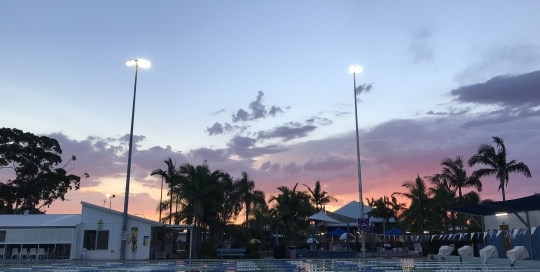 Over the years Kawana Aquatic Centre has undergone many changes with each one working towards a better centre for the community and with the switch to LED technology, the facility faces a massive reduction on maintenance costs. 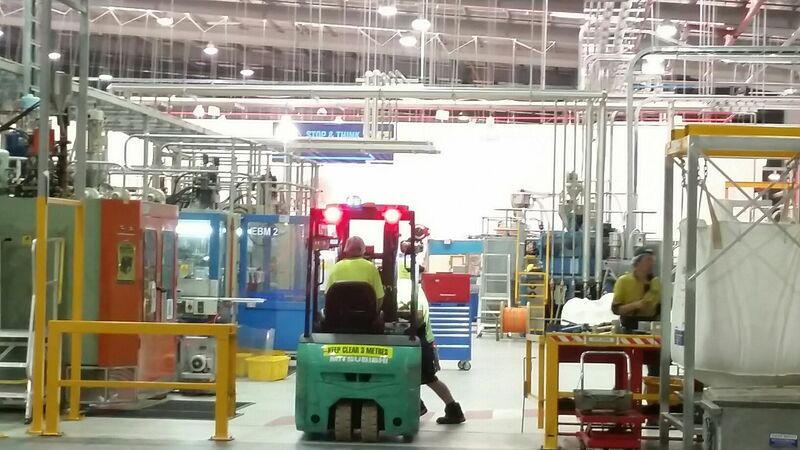 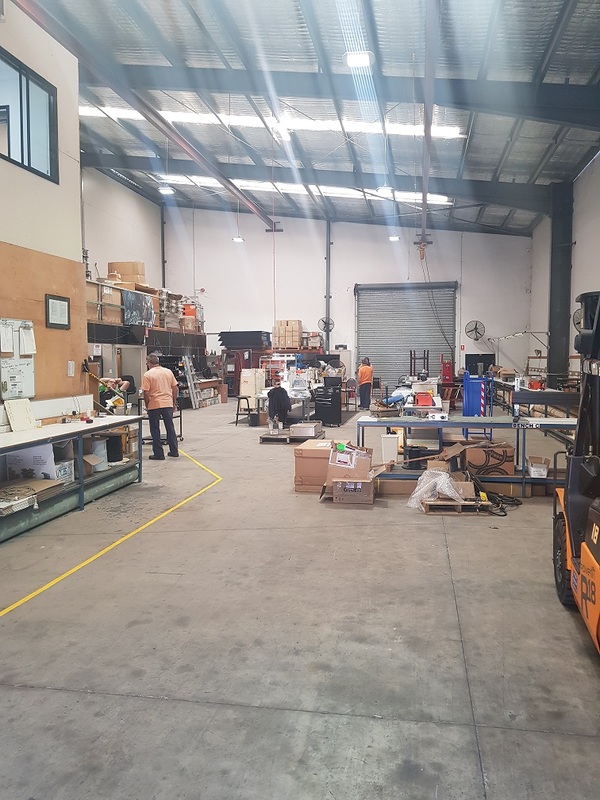 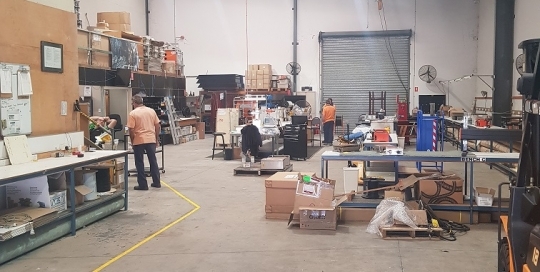 Over 180 of our Andromeda Flood and PoleM luminaires and have been deployed across a large factory warehouse in Wacol, Brisbane. 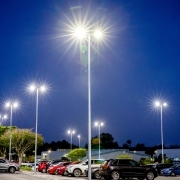 The newest Andromeda Pole Mount luminaires look fantastic at the newly expanded Logan Hospital & TAFE carpark. 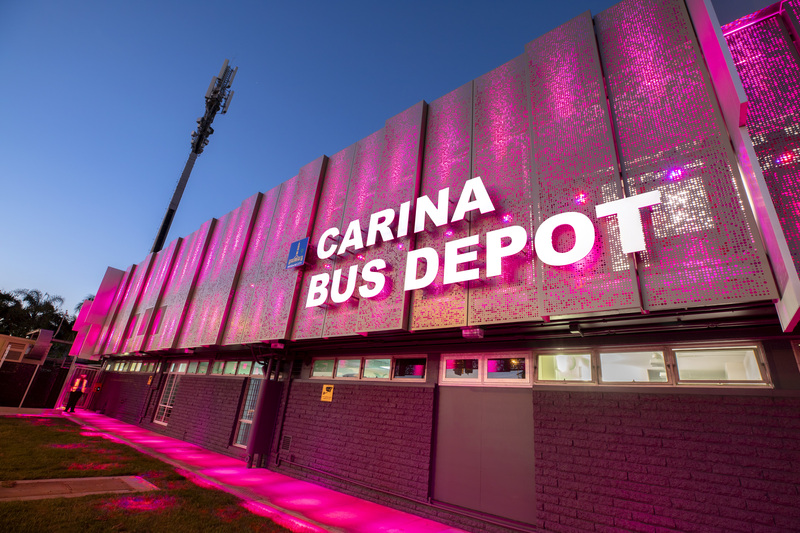 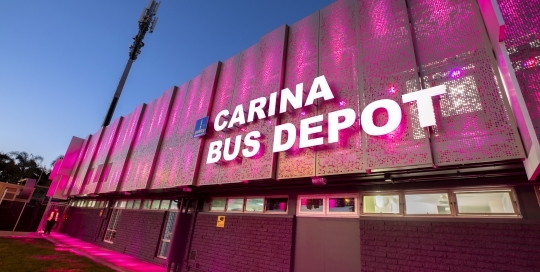 Upgrades to the Carina Bus Depot included 76 of our Nebula Wall Washer RGB luminaires to the facade of the building as part of Brisbane City Council's "Light up Brisbane" initiative! 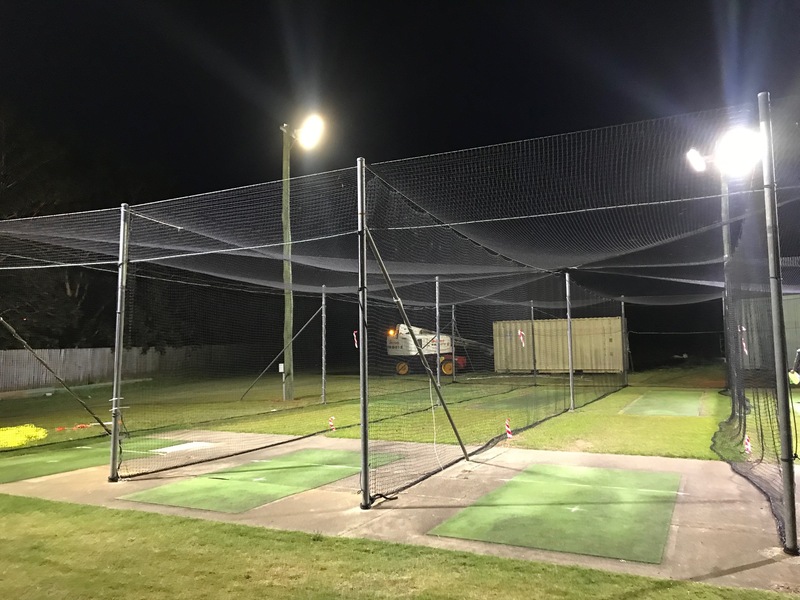 The Glasshouse Cricket Net upgrade was completed over the winter season & consists of 6 new Andromeda High Mast luminaires reaching lighting levels of 300 lux. 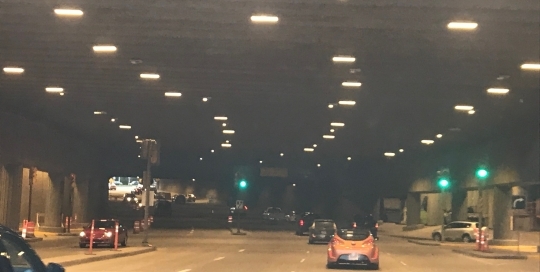 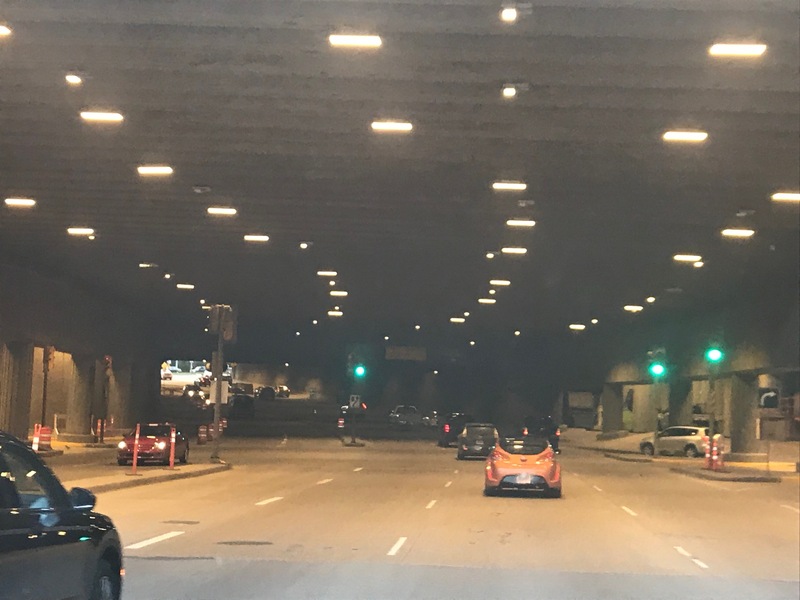 In conjunction with Prolux, a design for the retrofit of the current lighting solution resulted in 169 x Andromeda Flood luminaires installed in the iconic tunnel. 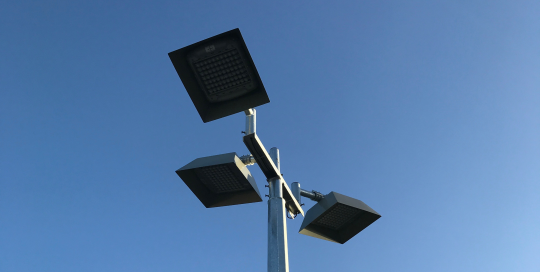 Our Andromeda™ Ceramic flood lights are thriving after installation into six cold meat storage rooms as their durable construction is perfect for tough and challenging conditions. 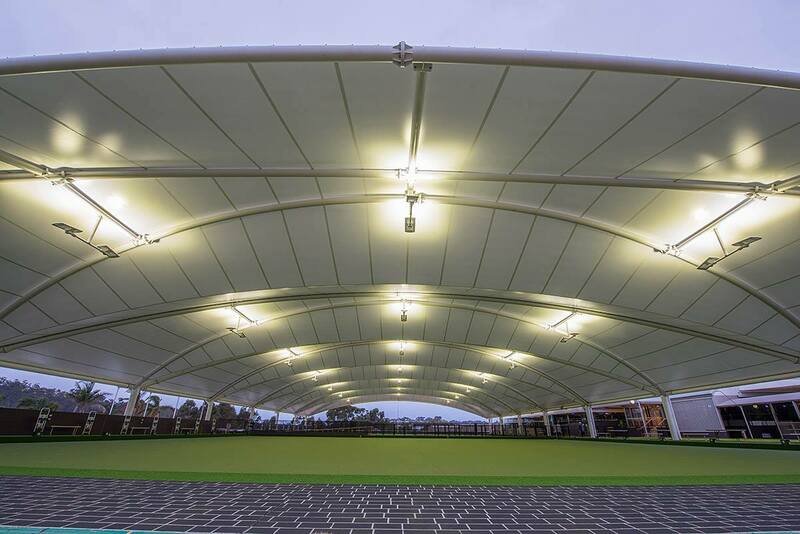 80 LED lights from our Andromeda Park range are currently illuminating the largest under cover bowling green in the Southern Hemisphere! 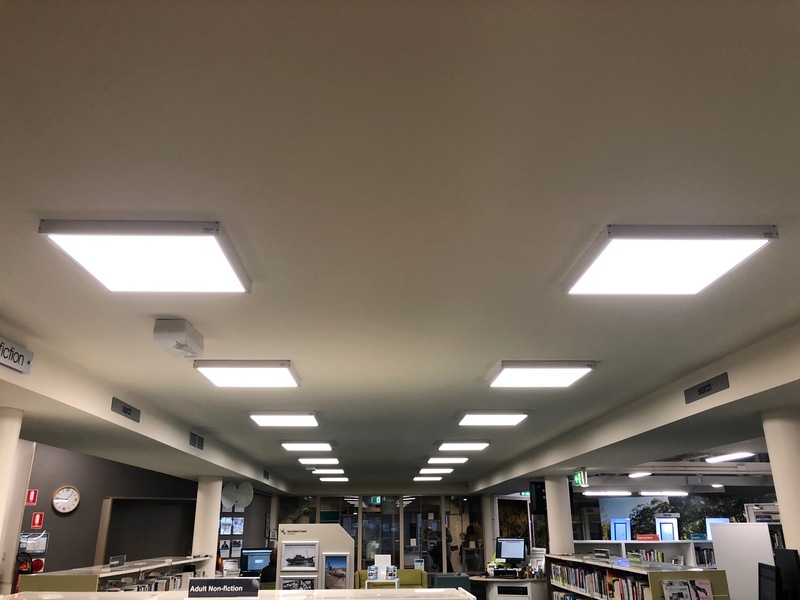 As part of an extensive upgrade set out by the Local Council, Kawana Library – the 4th largest library within the network has now been retrofitted with over 50 LED panels. 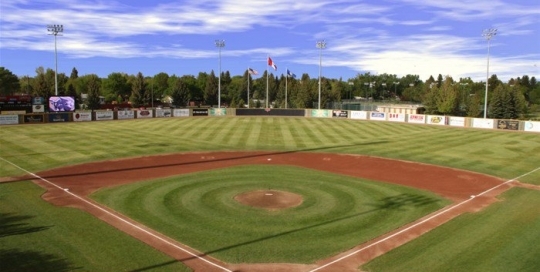 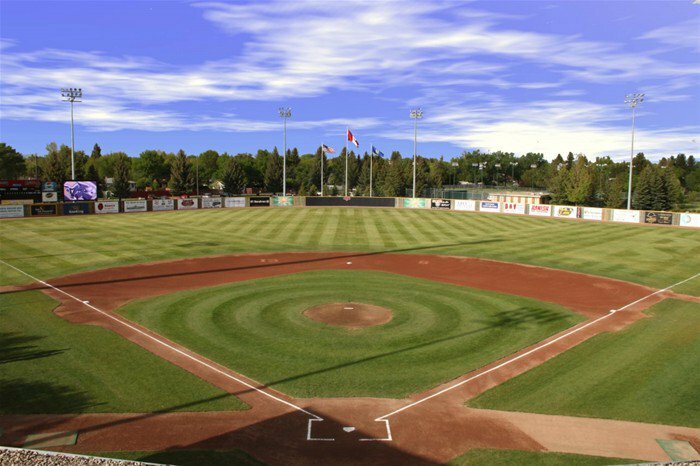 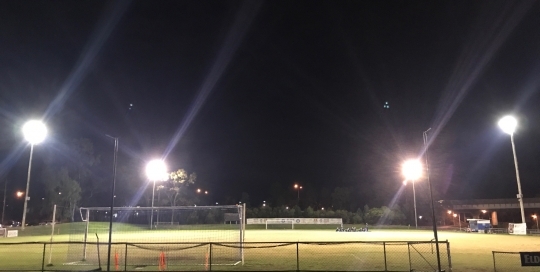 Empyrean lighting worked alongside our Canadian agent Prolux Lighting to provide luminaires for the extensive renovations at The Spitz Stadium - Home of the Lethberg Bulls. 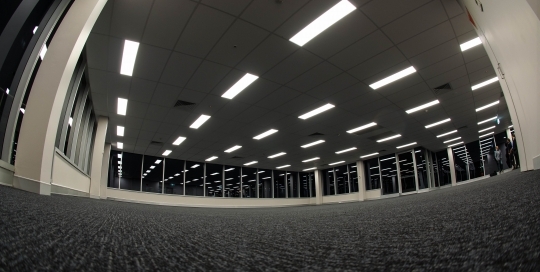 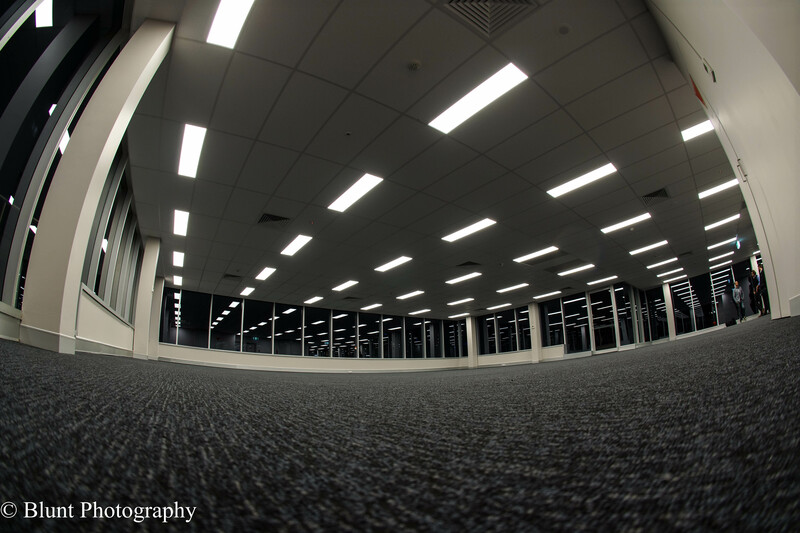 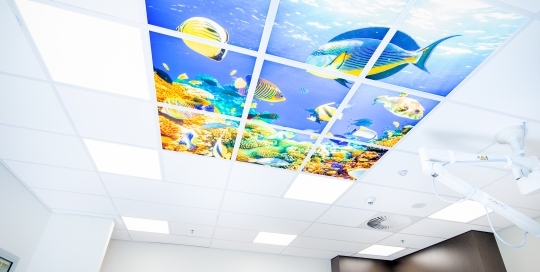 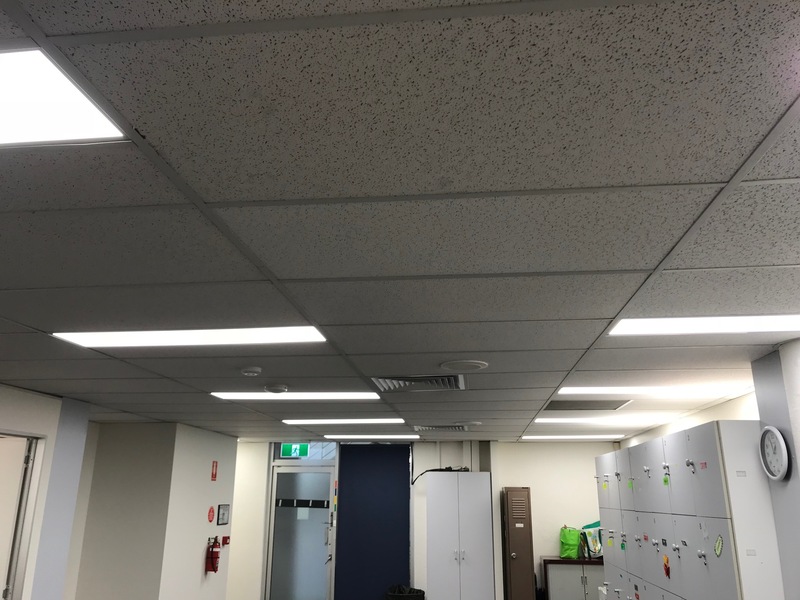 Over 350 Corona LED Panels have been installed in 2 floors of government offices at the Brendan Hansen Building in Hervey Bay, QLD. 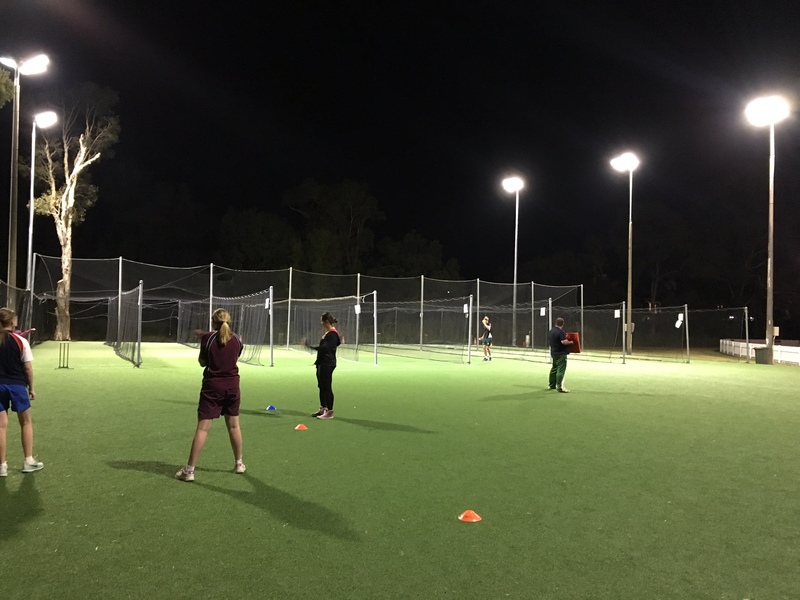 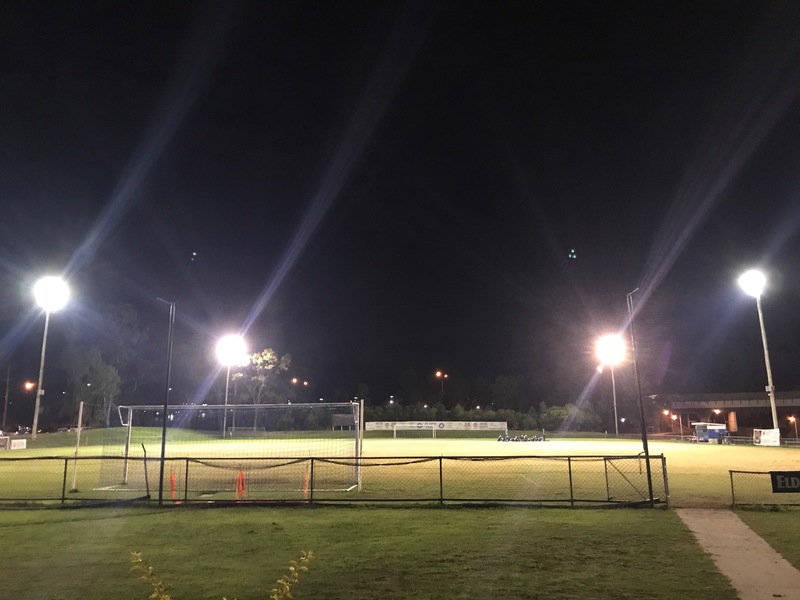 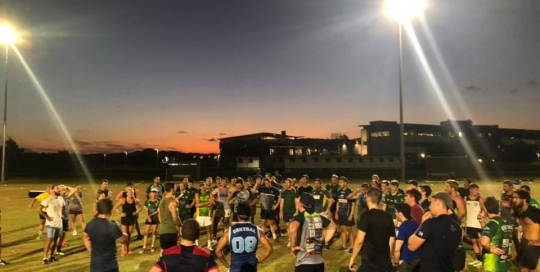 University of Sunshine Coast have taken steps towards a brighter future using our 1000W Ceramic High Mast luminaires to light up their training field! 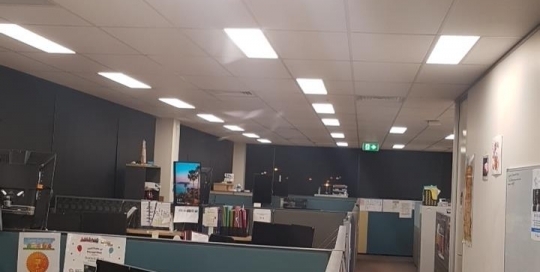 Our Ultra Slim Corona Panels have replaced worn and failing fluorescent troffers at The Department of Transport in Chermside. 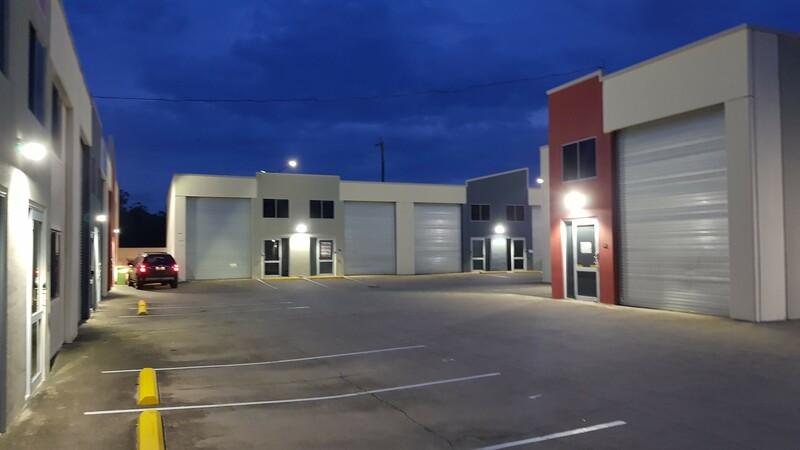 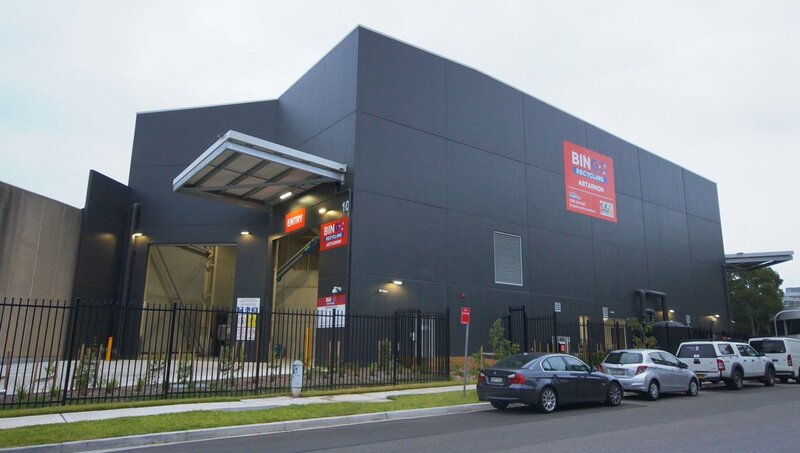 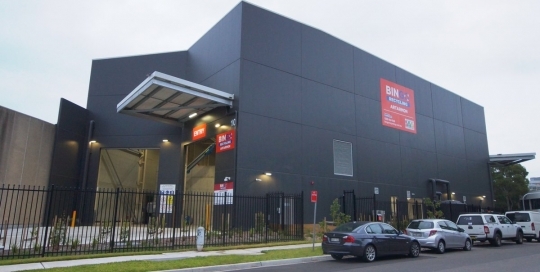 A suite of LED Lighting solutions from the Andromeda range have been installed at the new 24hour recycling centre in Sydney based on a comprehensive electrical design by UMEA engineers. 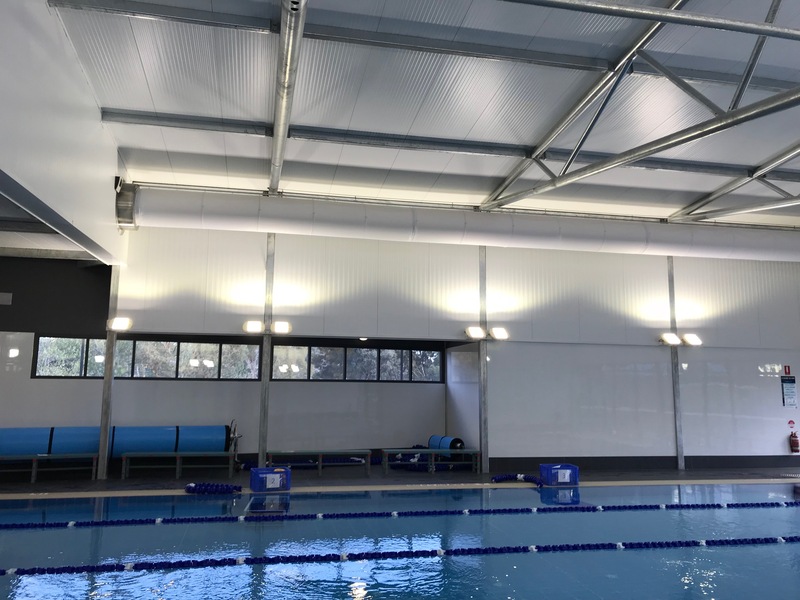 The Southern Cross Health Club has opened the doors to their new $15 million dollar health and wellness centre in Phillip ACT featuring Empyrean's innovative Andromeda LED flood lights. 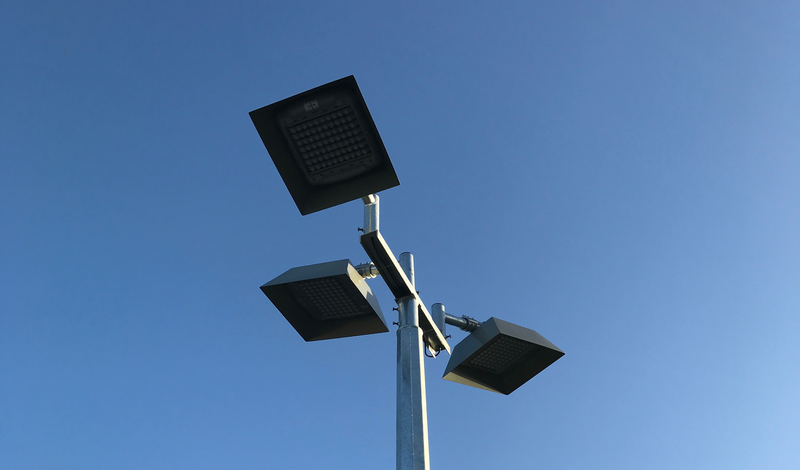 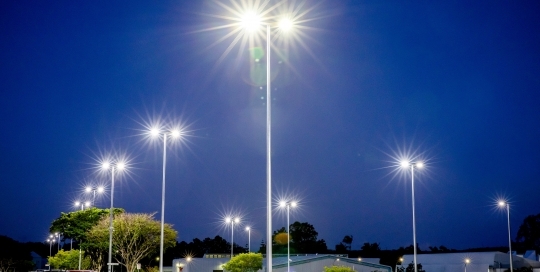 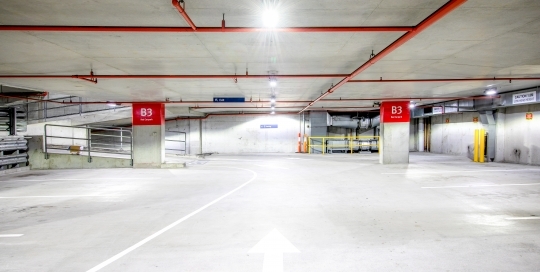 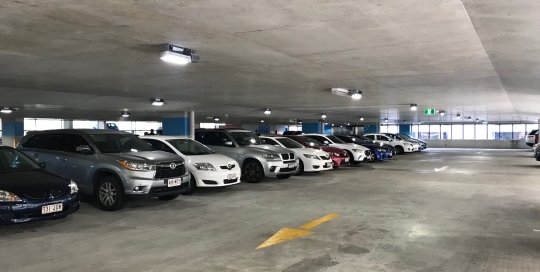 Our range of LED Carpark Luminaires have vastly improved the safety, light uniformity and drastically reduced the electricity consumption at the Wesley Hospital in Auchenflower. 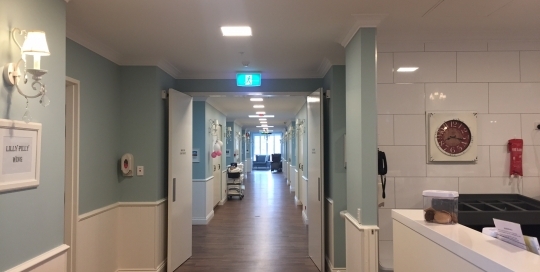 Using our Andromeda series, Next Generation Electrix installed a combination of LED Pole Mount & Wall Pack lights at the new Excelsior Medical Centre in Gympie. 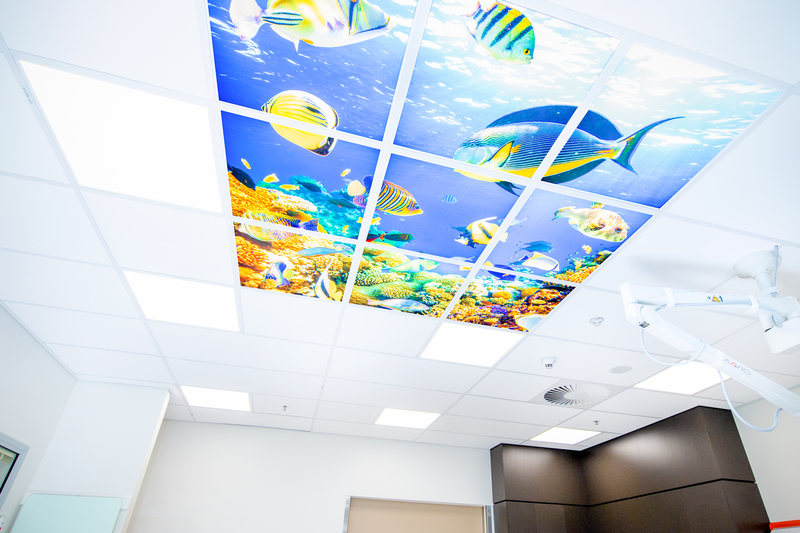 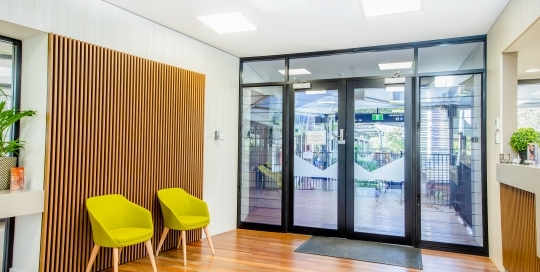 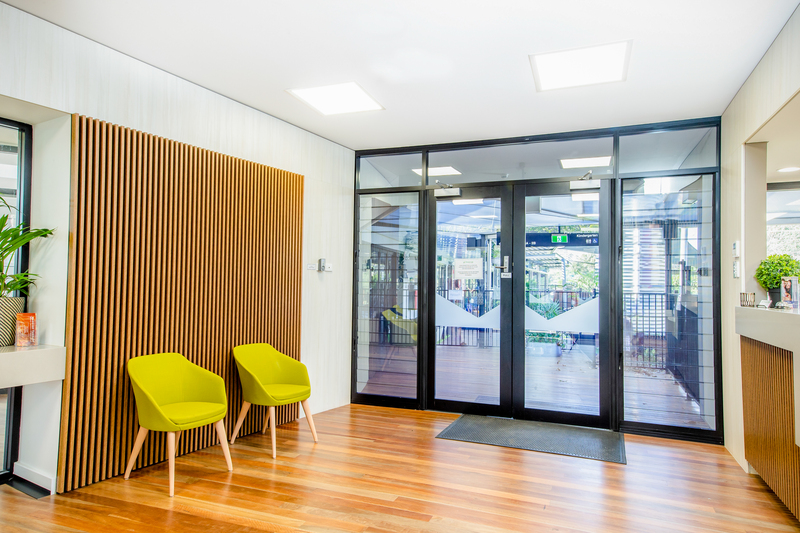 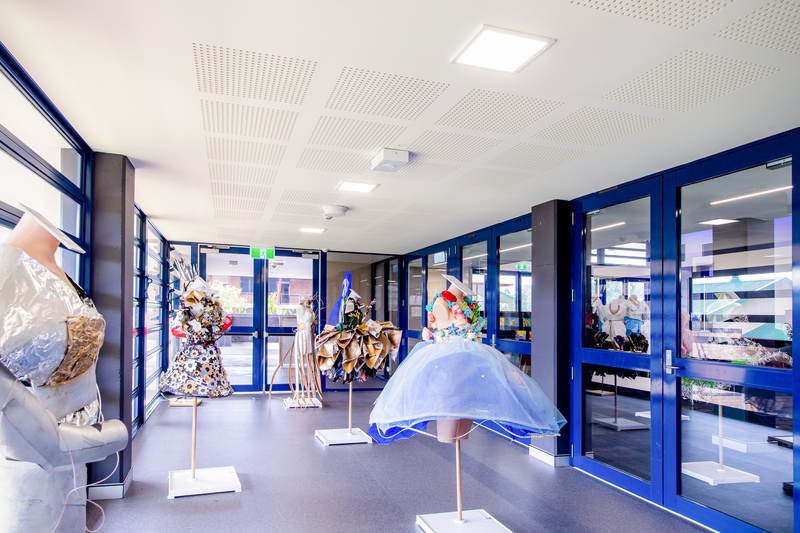 Our Corona LED panels were the perfect fit to set the ambient lighting within the toddler pod rooms and reception at the new UQ Margaret Cribb Childcare Centre. 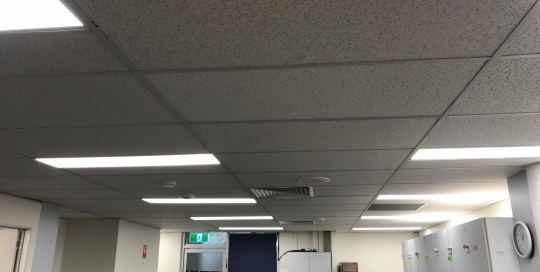 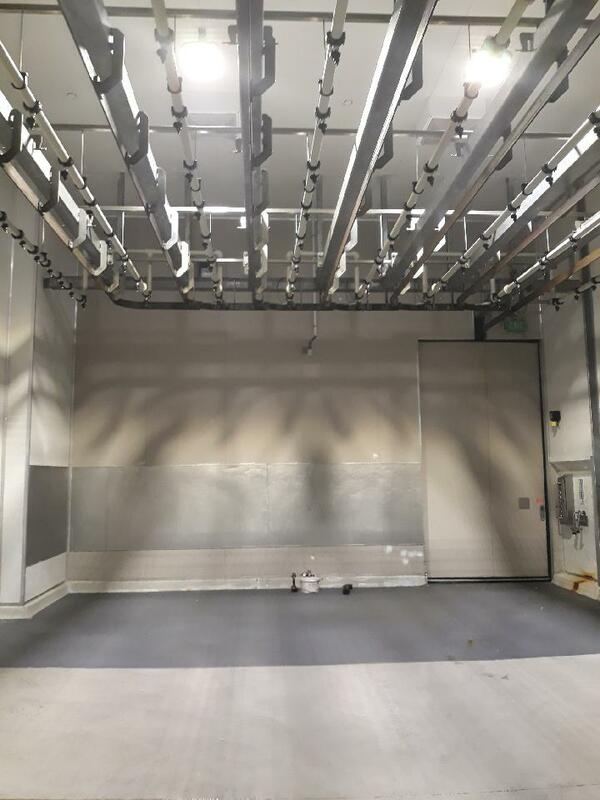 The new imaging department has been fitted out with 40W Cyanosis LED panels which are saving a significant amount of electricity, HVAC and carbon emissions for the Hospital. 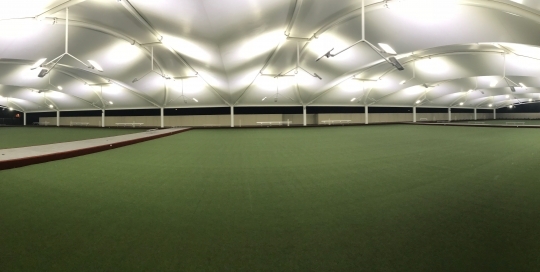 The new undercover bowling green at Moamma Bowling Club is now up lit with 30 x Andromeda Park luminiares to avoid glare and meet competition standard! 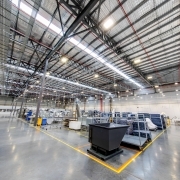 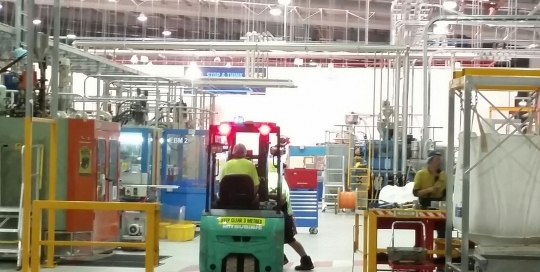 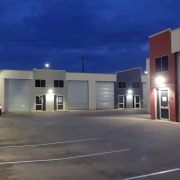 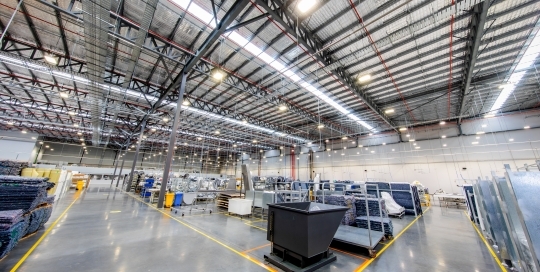 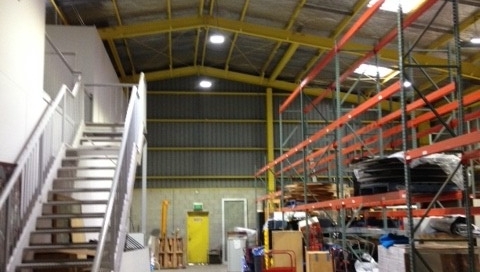 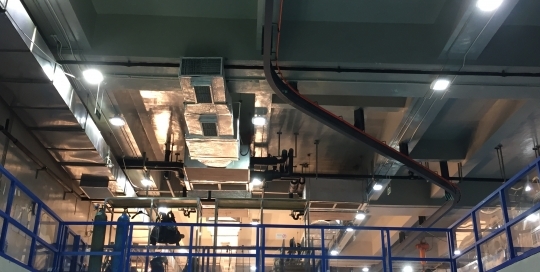 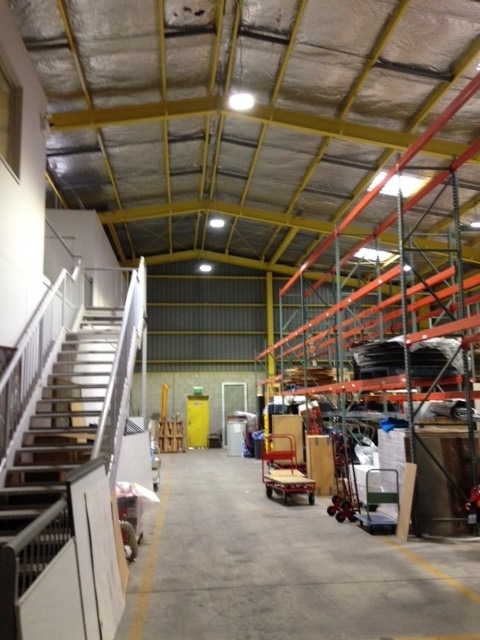 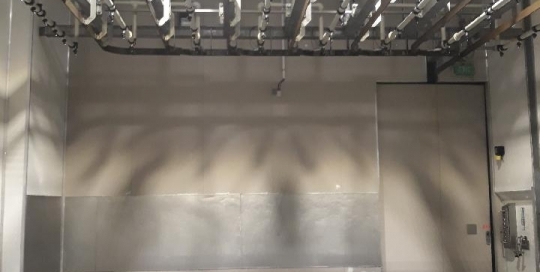 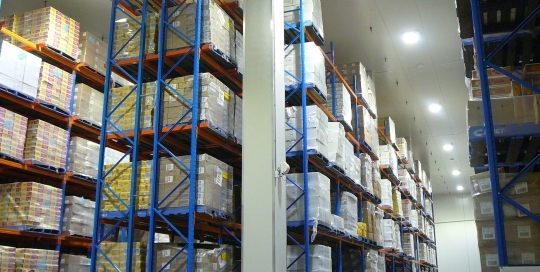 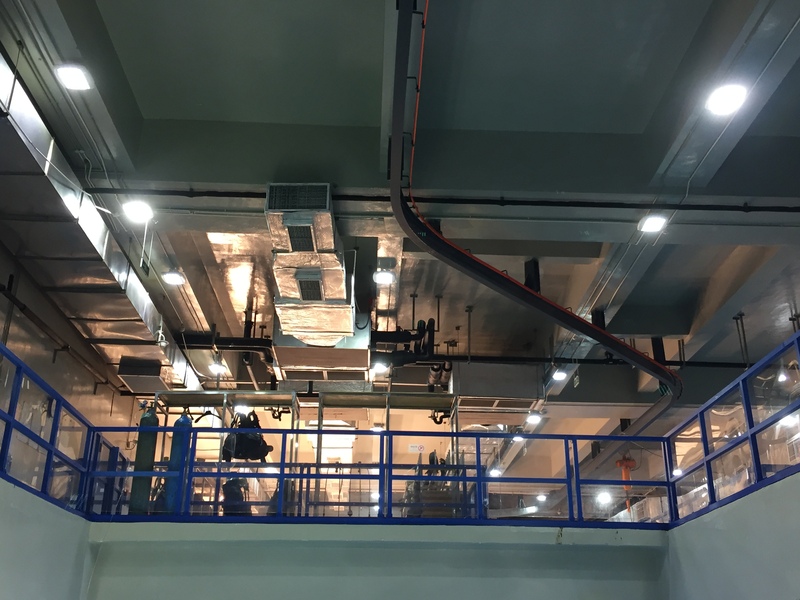 In line with a number of site wide LED lighting upgrades, the University of Canberra have retrofitted inefficient warehouse lighting with Andromeda C Flood lights. 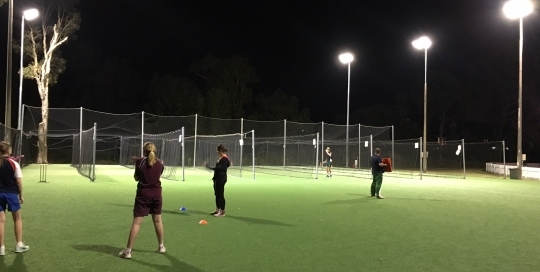 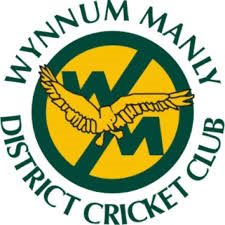 Our Andromeda Ceramic LED High Mast luminaires are lighting up the new Wynnum Manly District Cricket Club nets to Class II standard. 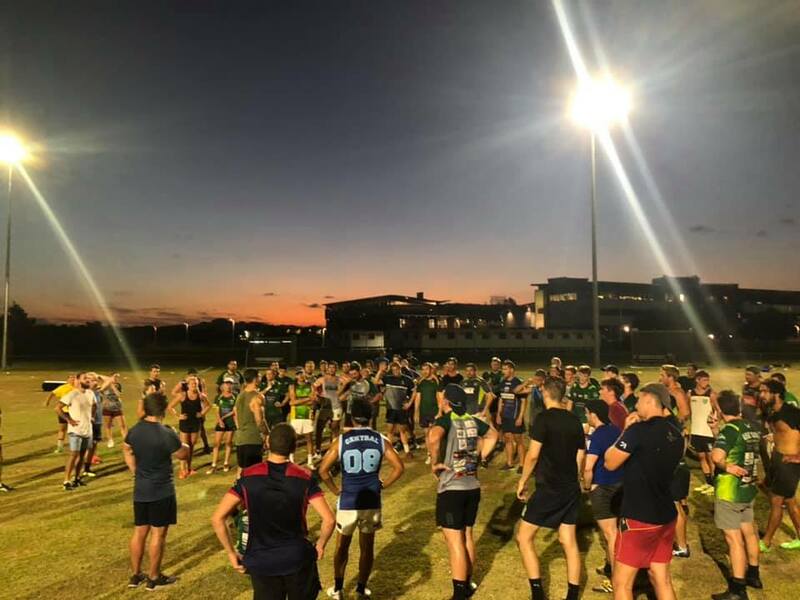 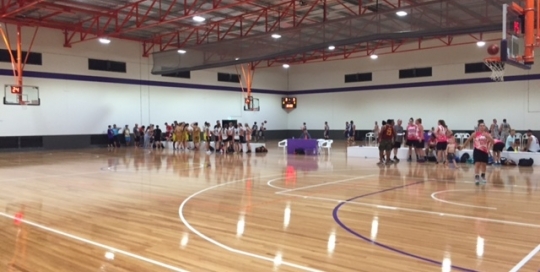 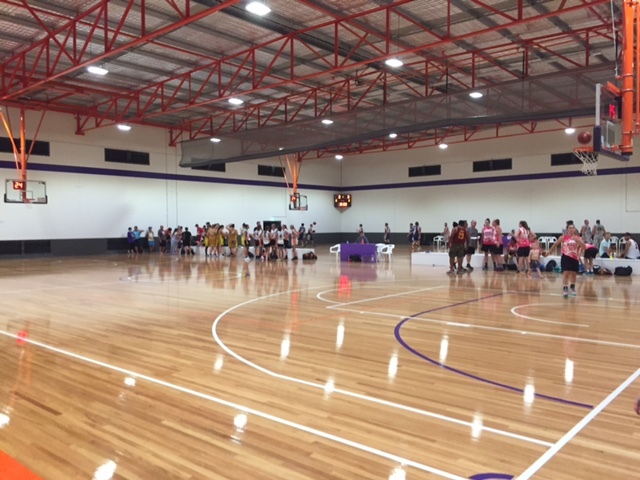 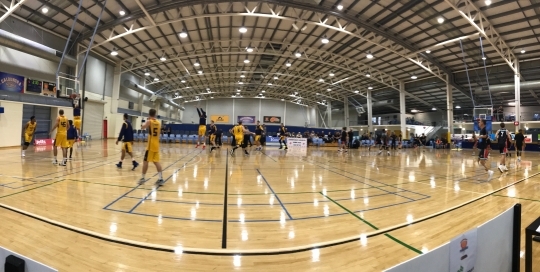 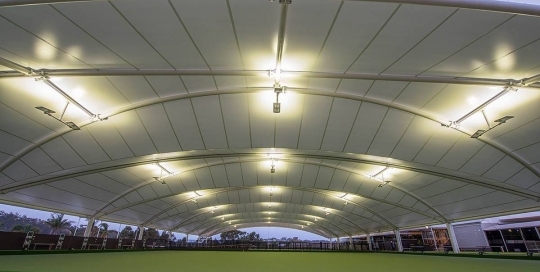 Before the beginning of the 2019 season, we upgraded all of the internal lighting at the Caloundra Indoor Stadium with our Andromeda Ceramic Flood lights. 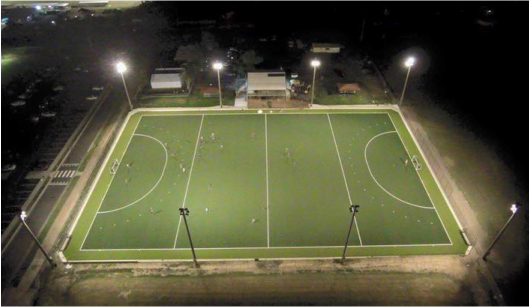 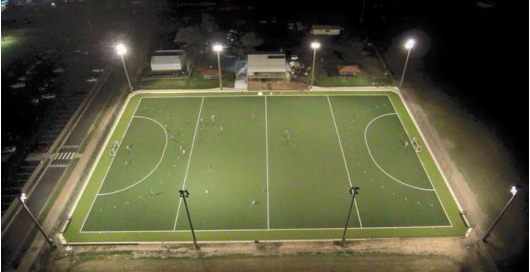 The Hervey Bay Hockey Association were able to start off their 2017 season with a state of the art competition level playing field after upgrading their lighting with our Andromeda High Mast luminaires. 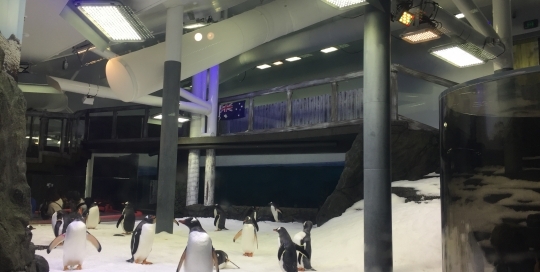 Sydney’s SEA Life Aquarium is one of the biggest attractions around Sydney and is constantly looking for the highest quality, most efficient LED technology for lighting up their many tanks. 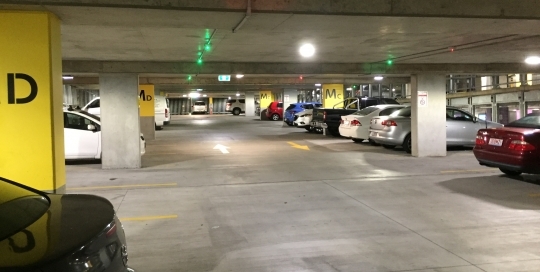 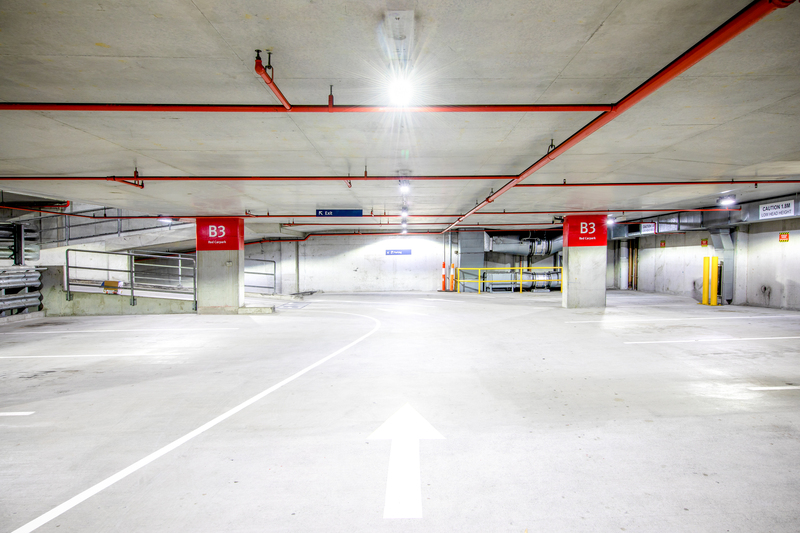 Andromeda Linear luminaires fitted with motion sensor technology have been installed in the new 6 level Sunshine Coast University Hospital carpark. 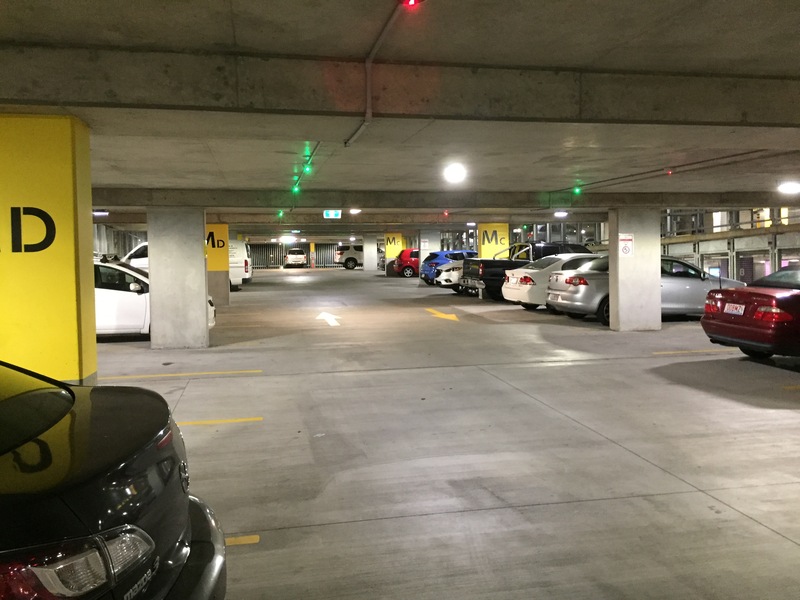 Uniting Care are anticipating thousands of dollars worth of savings within the carpark at St Andrews Hospital after the installation of our LED luminaires. 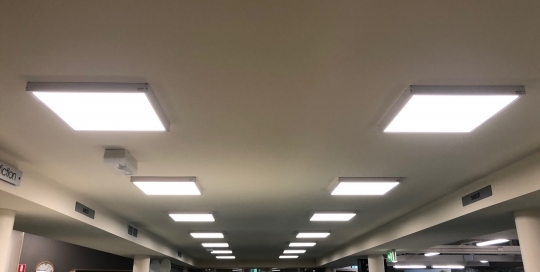 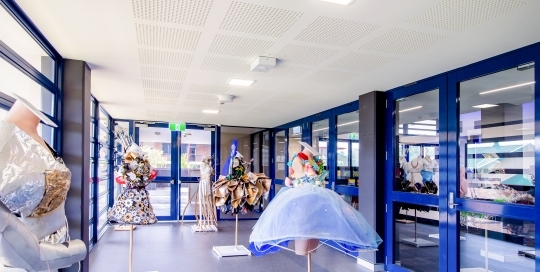 St John’s has taken the first steps in using sustainable energy products and introducing energy efficiency into the development of the new College by straying from traditional lighting and seeking an LED solution and installing a range of our luminaires throughout the 3 level building. 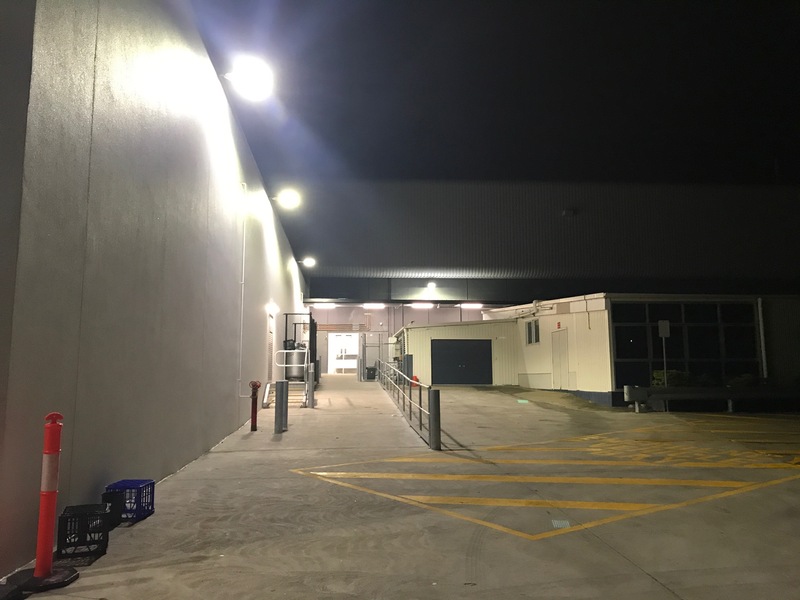 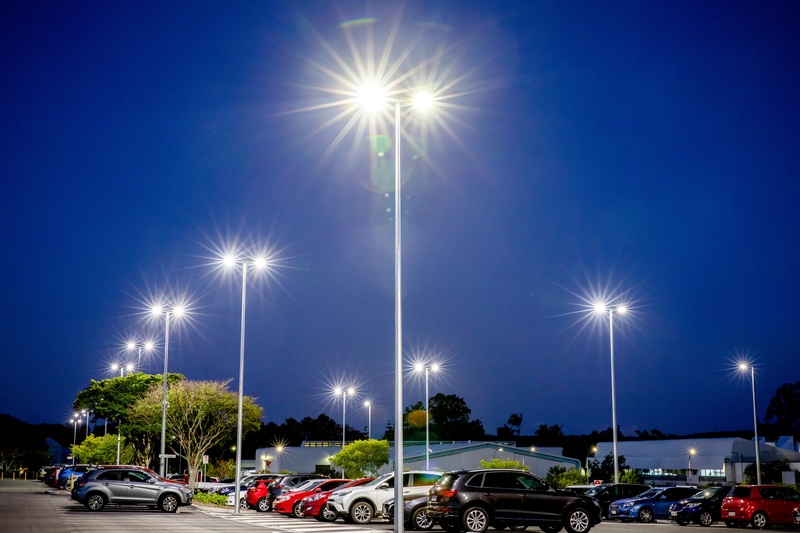 Aspley Hypermarket's $50 million dollar redevelopment includes new external LED lighting with Andromeda Park luminaires supplied by Empyrean Lighting. 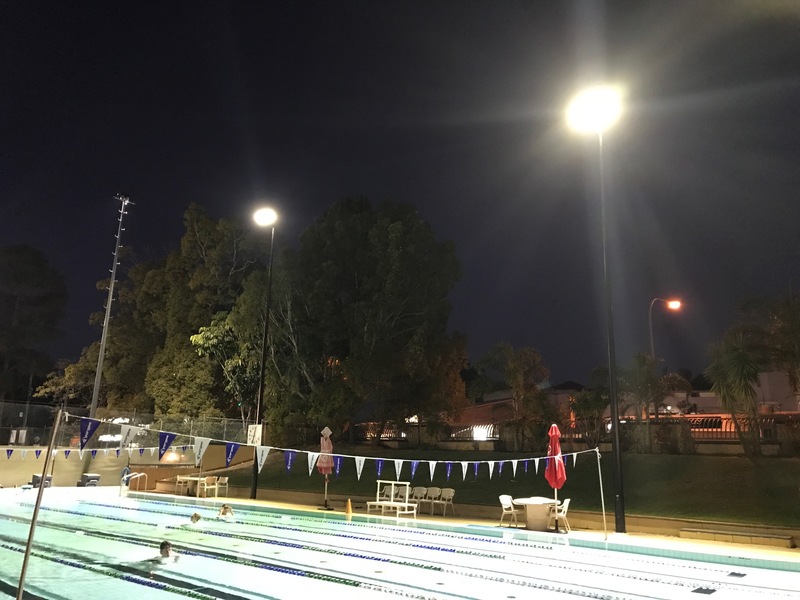 Our Andromeda Ceramic 1000W luminiares on Elder Oval has significantly increased the overall lux of the field, whilst saving the club on maintenance and power savings for many years. 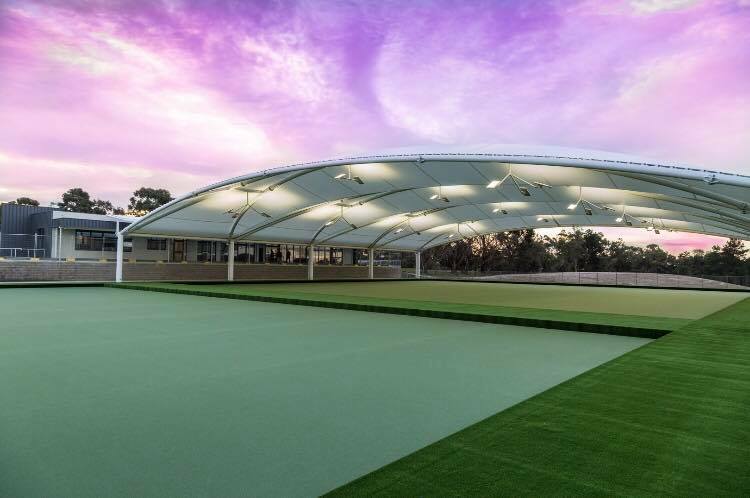 MakMax Australia worked with Empyrean to provide ultra high quality LED lighting for the new undercover shade structure at Club Sapphire, Merimbula. 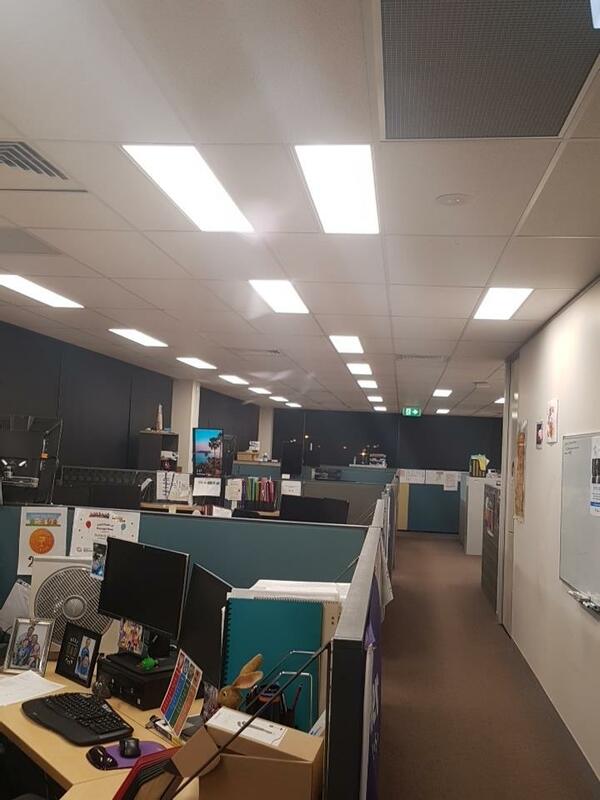 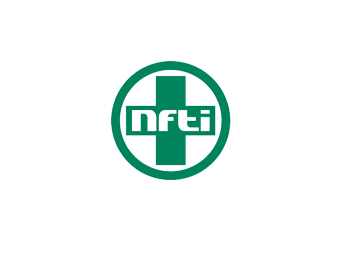 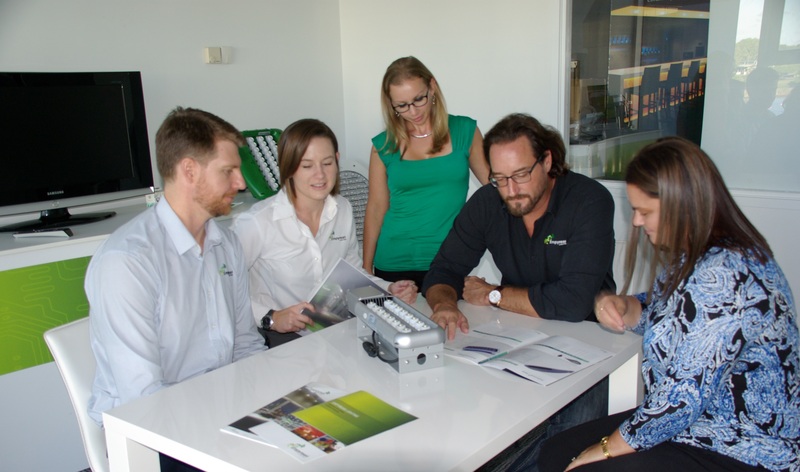 NTL's headquarters in Caboolture are now operating under Andromeda LED Flood luminaires and around Nebula Linear lights increasing lux levels while reducing electricity consumption. 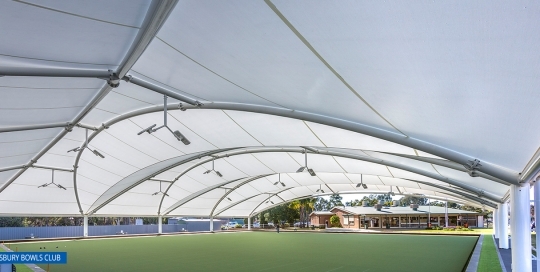 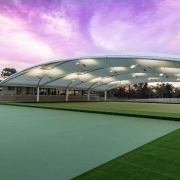 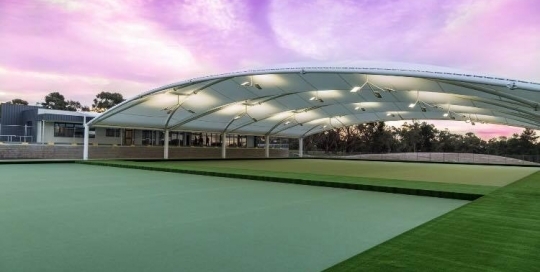 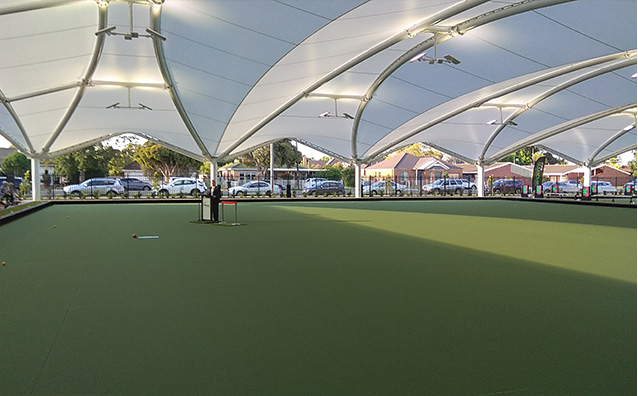 Salisbury Bowls Club in South Australia now features an undercover green lit to over 150lux average with our Andromeda LED Park luminiares. 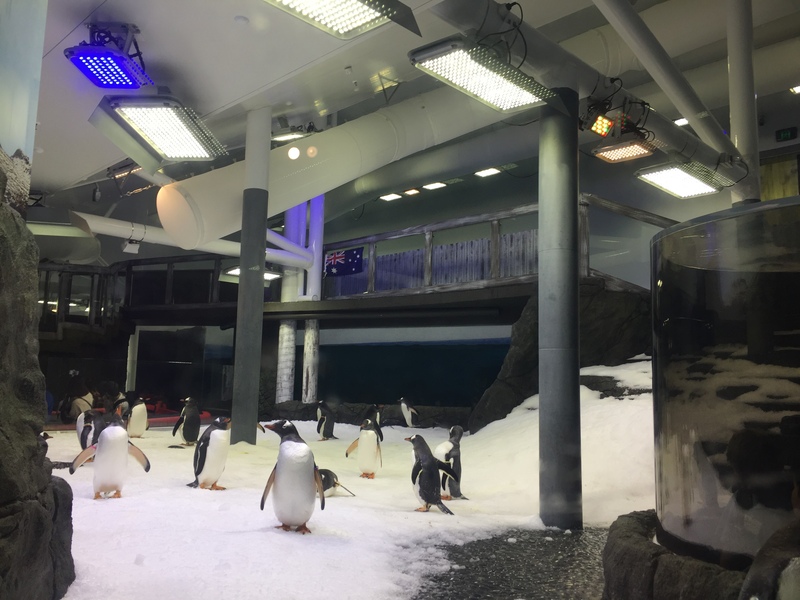 Empyrean Lighting are proud to have partnered with Creative Lighting and Sydney's SEA LIFE Aquarium to custom design a comprehensive aquarium lighting control system that replicates the diurnal cycle of Macquarie Island. 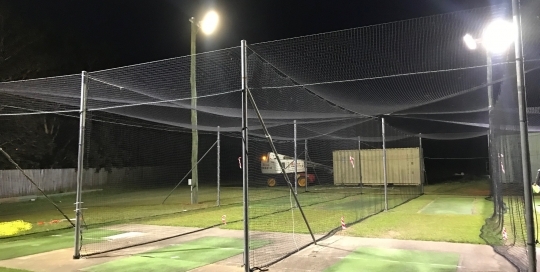 Andromeda LED High Bay luminaires have completely upgrade the stadium lighting for the new and existing courts which are home to the Suncoast Clippers. 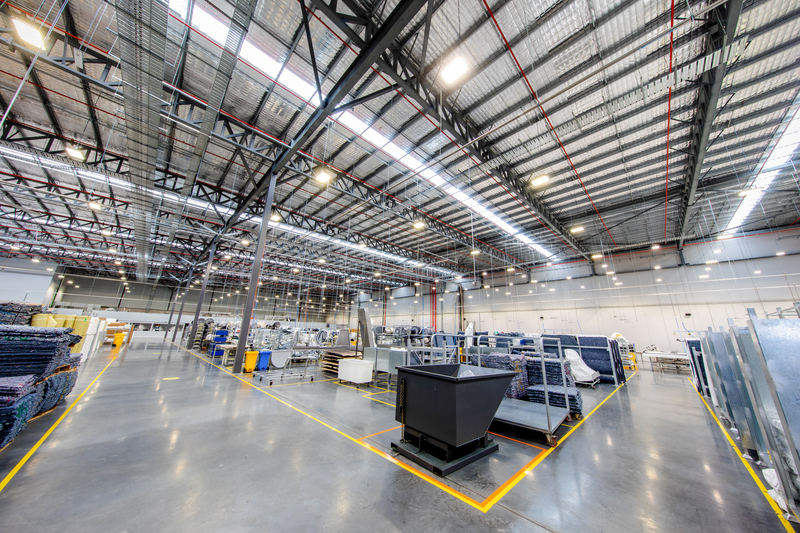 Empyrean is supplying ultra high quality, robust LED lighting to Visy's Metro Depot at Heathwood to replace old, inefficient lighting across the facility. 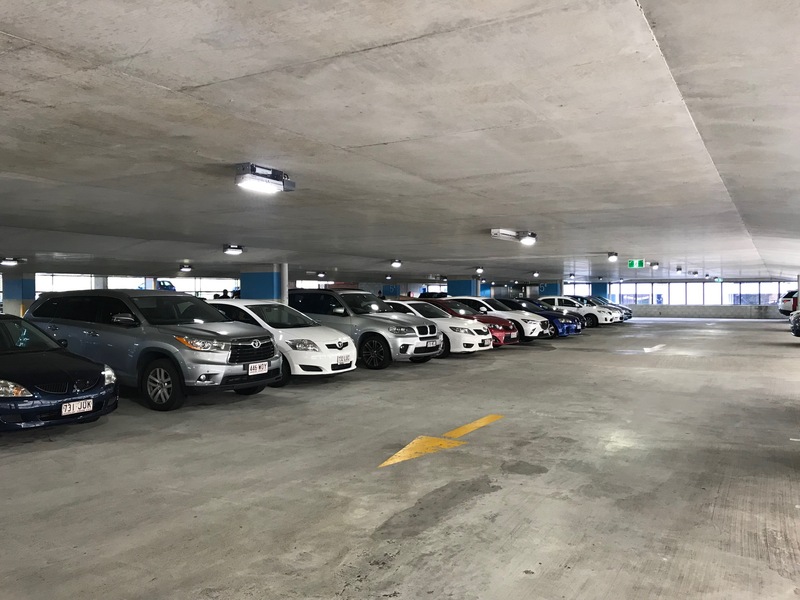 Empyrean Lighting's commercial retrofit of 189 Coronation Drive along the Brisbane River combines both stunning views with the latest in ultra-high quality LED technology. 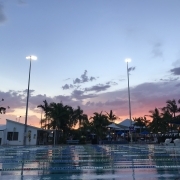 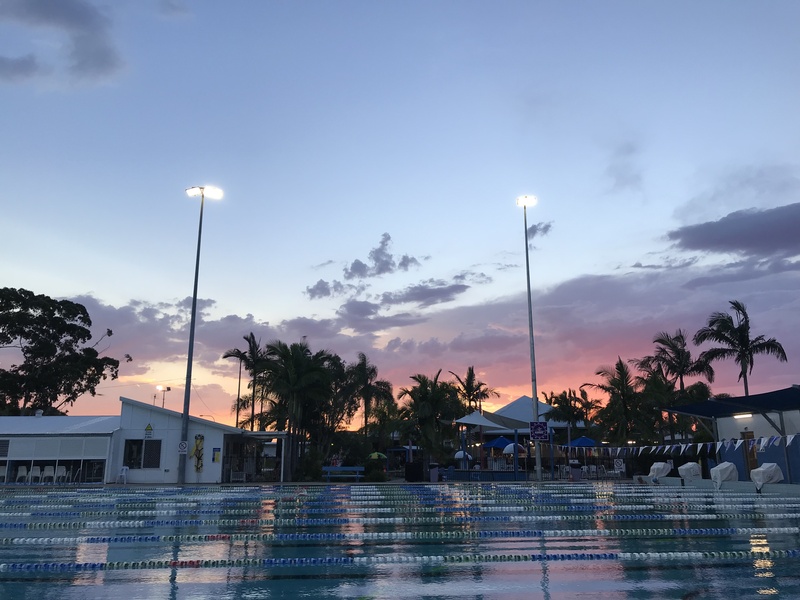 The newly opened $22.25 million dollar Gympie Aquatic Recreation Centre features the latest in pump, filtration and lighting technology with our LED Andromeda Flood luminaires illuminating the external 50metre competition pool. 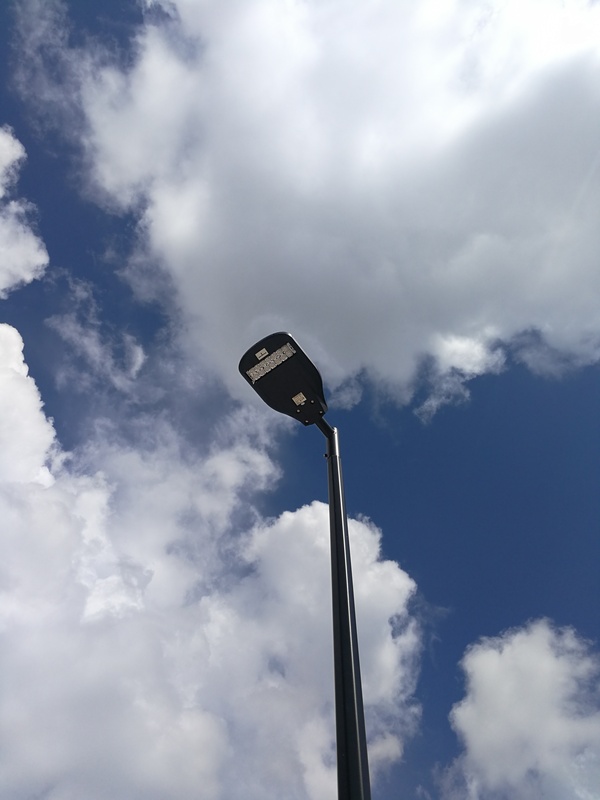 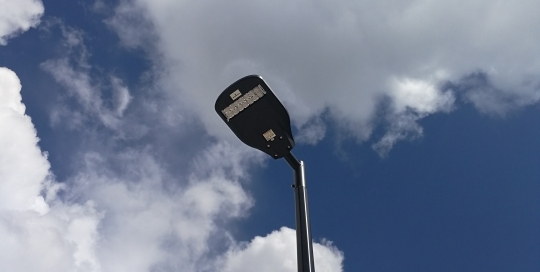 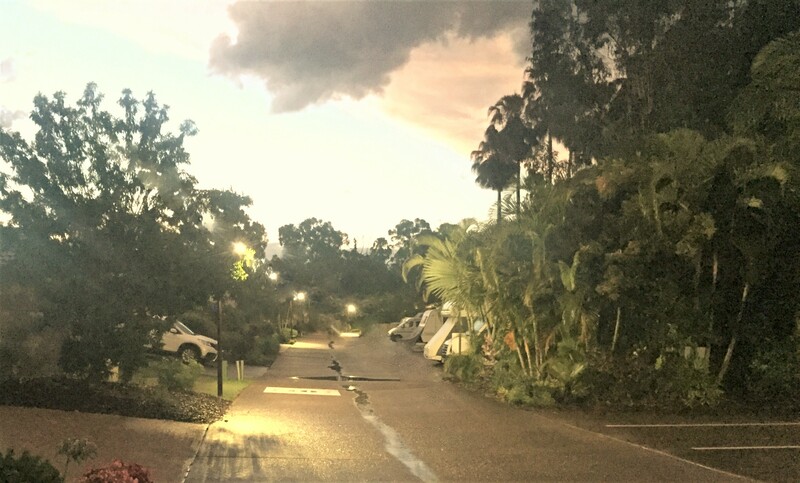 Empyrean & Greentech Electrical retrofitted all street lights throughout 3 IRT villages - Parklands, The Palms & The Ridge with Andromeda Park luminaires. 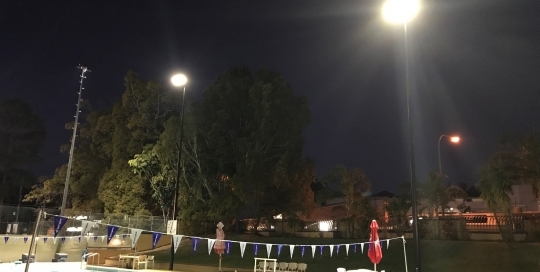 Two Andromeda Flood luminiares are now lighting up the 25m Outdoor Pool at the Buderim Aquatic Centre on 12m poles. 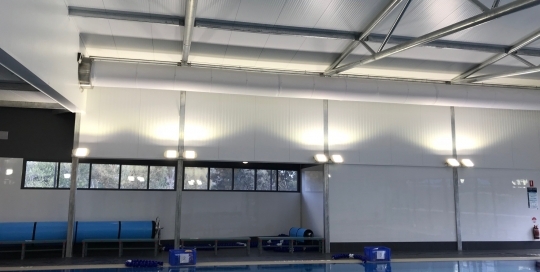 Both swimmers and operators are happy with the result and utilising the facilities once again 24/7. 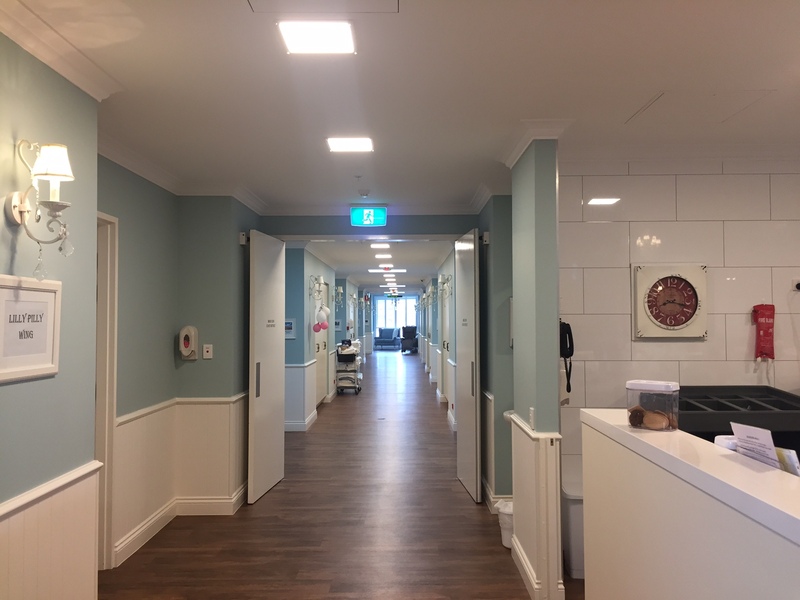 Maranatha Aged Care have expanded their facilities with a new wing which includes a number of Corona small LED panels & improved the external lighting with Andromeda C PoleM fittings. 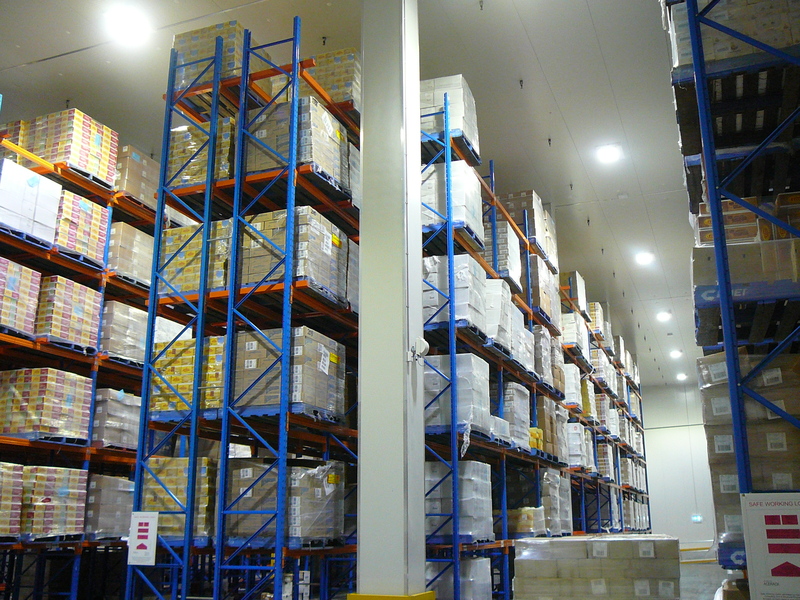 F Mayer Imports has employed Andromeda Recessed LED technology in their new cold room storage warehouse to increase their sustainability. 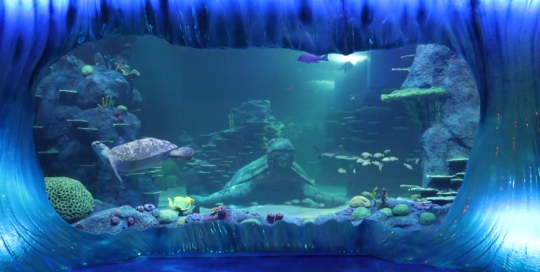 Empyrean Lighting supplied custom designed Aquarium LED luminaires for all back of house areas for the Sea of Dragon Oceanarium in Chengdu, China. 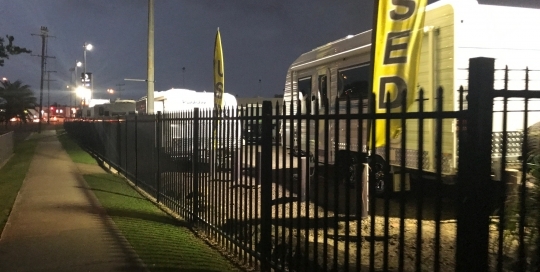 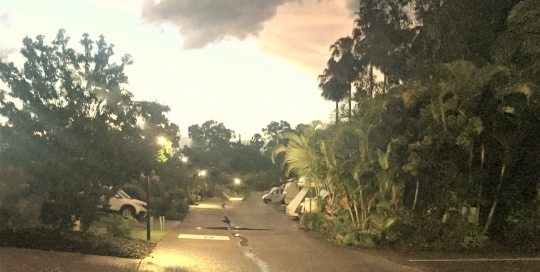 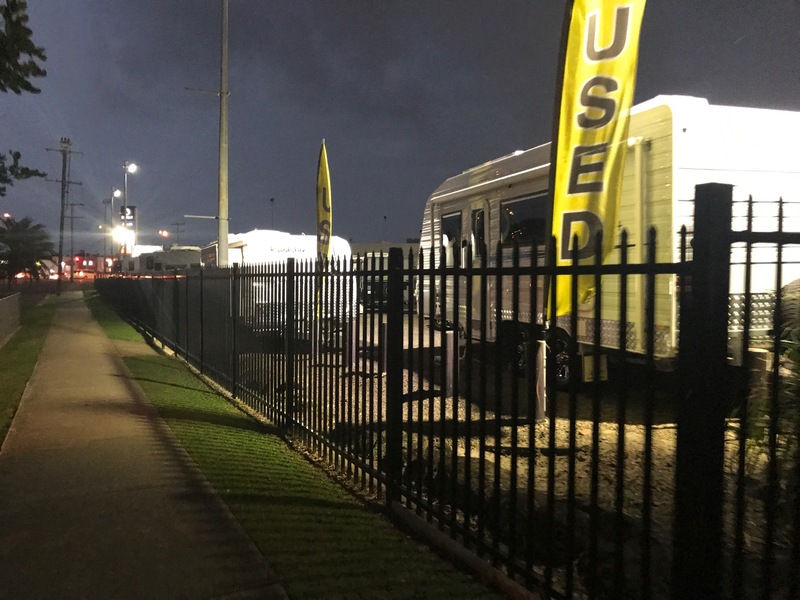 Located beside the Stockland shopping centre in Caloundra, the Sunseeker Caravan yard is now lit brighter than ever with a number of our new Andromeda ceramic flood lights. 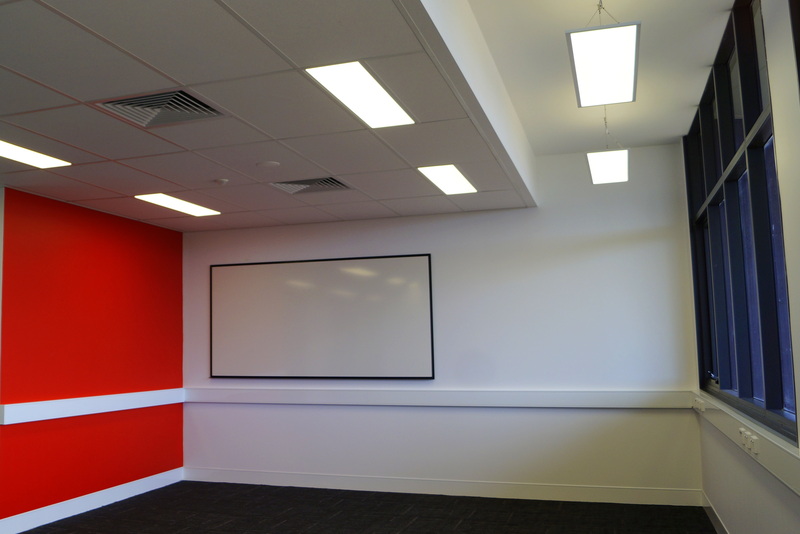 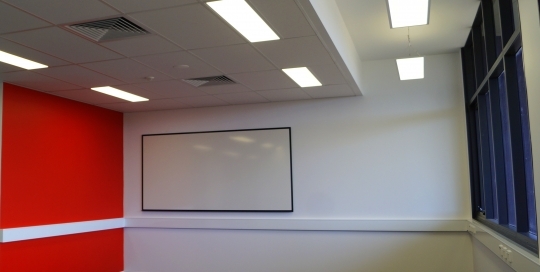 Over 350 types of our Corona LED panels were installed throughout the new engineering building at the Central Queensland University Mackay campus. 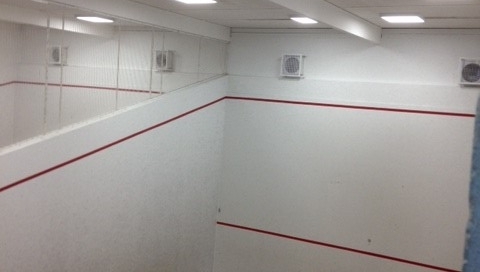 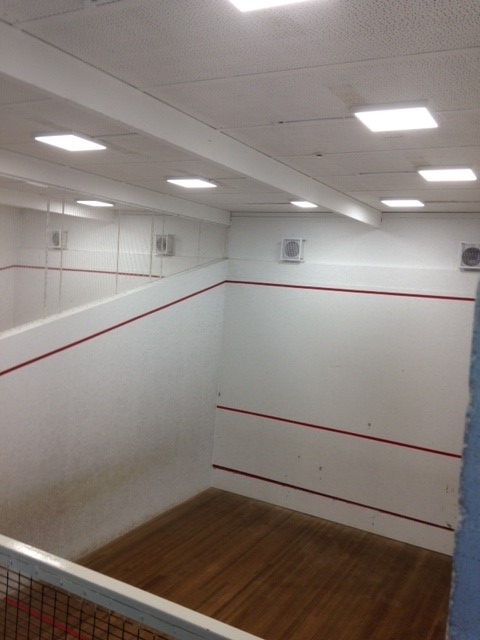 All four squash courts at the University of Canberra are now illuminated to 300 lux with great uniformity with our Corona Square Ultra Slim LED panels.